Meet Rayner the new Head Chef at Muckrach Country House Hotel. Rayner has joined us from The New Drumossie Hotel, Inverness, with a wealth of skill and experience to set up the Coffee Shop and Restaurant at Muckrach. Rayner’s approach to creating simple food with the best ingredients will ensure that by day the Coffee Shop menu will be fresh & tasty and by night the Restaurant will serve uncomplicated home-syle food with a twist. As Muckrach approaches opening on 30th April, Head Chef is finalising his team and over-seeing his kitchen installation. 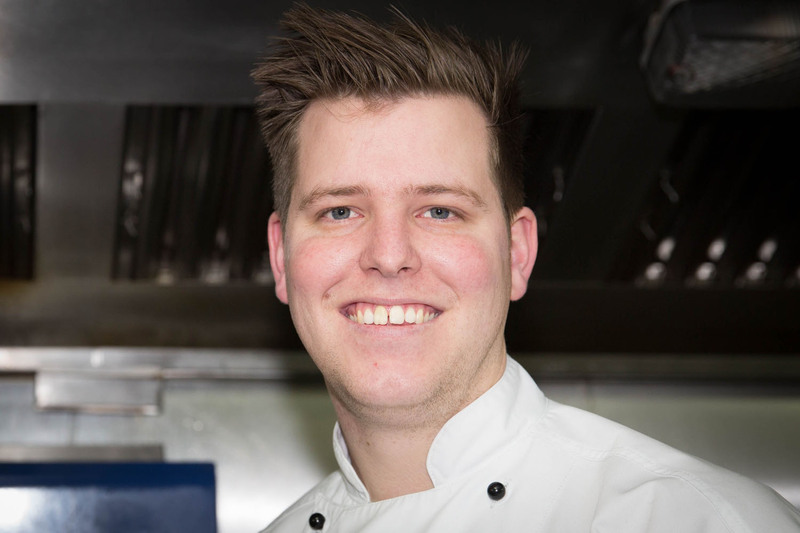 Age 28, Rayner has many great ideas and a passion to serve the best food. Born in Durban, South Africa, Rayner always wanted to be a Chef. Influenced by his Gran, Rayner and his family enjoyed making a mess in the kitchen inspiring him to become a Chef ‘when he grew up’. Upon leaving High School, Rayner studied at the top Chef School in South Africa; The Valley of a Thousand Hills Chef School. After a year’s intense training, Rayner went to Zambia to be a private Chef for a family in their home. He later joined the team at one of the top 10 restaurants in South Africa; Umami in Salt Rock. He built a great relationship with the owner, who to her detriment suggested that Rayner should travel in order to broaden his knowledge and skills as a Chef. Rayner left for London after a year in her restaurant. He spent a few weeks there, (spent all his money!) and then through an agency in London he gained a role in the Highlands of Scotland. Rayner has spent the last week at The Hollies Farm Shop in Cheshire to gain an understanding of the family run business and its ethics. 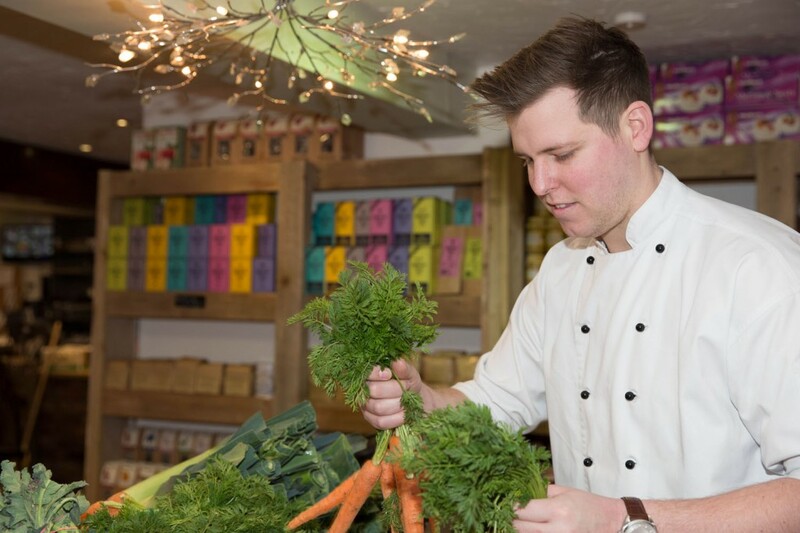 The award winning Farm Shops, Coffee Shops and Butcheries will be reflected in Rayner’s menu alongside great local, Scottish produce. The Coffee Shop & Restaurant will be open from 7.30 until 21.00, serving breakfast, brunch, lunch, afternoon tea and dinner 7 days a week to non-residents. We look forward to welcoming the local community and tourists to the Coffee Shop & Restaurant.